Want to feel more confident and at ease within yourself? Get The Declutter Your Mind From Patriarchy FREE Guide! I’m Cameron Airen, a Feminist Mindset Coach, Mentor & Gender Consultant, writer and podcaster helping feminist deep feelers and sensitives feel more confident, at ease, thrive in your life and shine in the world, I also help you up-level your gender and social awareness so you can be more conscious and create the kind of change you want. I teach my clients how to manage their mind and emotions, and listen to their inner wisdom so they can thrive in all areas of their life and shine in their gifts in the world! I help folks of all genders get free from internalized oppressive and limiting beliefs, and adopt new ones that better serve them. I guide deep feelers and thinkers in getting free from feeling like they have to live up to society’s expectations so they can be all of who they are and do all that they’re meant to do in this life. As a gender consultant and feminist mentor, I help solo entrepreneurs, business owners, leaders and creatives integrate a gender & social consciousness into their work to be a part of a growing movement of positive social change. The future is a more freeing place and I love supporting caring leaders who want to make a more powerful difference. WE have the POWER of our minds and emotions, and how we want to show up in the world. Because it means that no one controls how we think or feel. We do. You have more power than you think you do. You can take your power back and own it for good! I have a master's degree in Anthropology and Social Change from the California Institute of Integral Studies in San Francisco, California and a B.A. in Women and Gender Studies at Eckerd College in St. Petersburg, Florida. With my counseling + coaching + fitness trainer background, I have over ten years of experience helping individuals connect to and take care of their bodies, hold space for their emotions and support folks to grow more into themselves and create more powerful change in the world. I also have 14+ years of experience studying gender, feminism, sexuality, social change and getting free from internalized oppression. I use this experience as some of the tools to help my clients experience more freedom in their minds, hearts, bodies, and life. For over eight years, I worked as a self-employed fitness trainer and long distance running coach. As a fitness trainer, I encountered a lot of harmful messages that the fitness industry sends us every single day. Clients of various gender identities with different goals came to me with similar beliefs and messages that they had internalized about what kind of body they "should" or "shouldn't" have. I knew that I wanted to get to the root of these oppressive beliefs, but didn't know how. Even though it became very clear to me that fitness coaching was not my passion anymore, my desire for getting to the root of our internalized oppression has led me to doing the work that I love doing now. I have found being a life coach to be an amazing opportunity for me to help and support feminist deep feelers, thinkers and sensitive souls (like myself) to access their own power and freedom so they can thrive and shine in all areas in their life and in the world. My coaching always includes the mind, body, spirit AND justice connection to acknowledge ALL parts of who you are and what you experience. My whole life people have told me that I’m really sensitive. They’ve told me to grow thicker skin, to stop taking things personally, to be someone I’m not. When the book, Quiet, first came out, I felt like a book had been written about me! It felt powerful to reclaim my introverted self and learn about what I needed to thrive and show up as my full self. Then, I realized that so much of my intuition and sensitivity was also because I’m an empath and highly sensitive person (HSP). I reclaimed these parts of myself too. Yes, I AM highly sensitive and proud of it! Because I’ve learned that being sensitive is a gift. I was blessed to have a healer at 27 years old tell me that I was sensitive and that this was a “good thing”. It was shocking to hear someone say that, but, it changed everything. And, I kept hearing this more and more from other sources. There was this reclaiming of sensitivity that was happening and I hopped on board. I embraced my introverted self that needs to be alone in order to replenish my energy. I embraced my empathic self knowing that this is a big part of my intuition and gift in the world. I embraced my highly sensitive self knowing that being hyper-aware is a magical gift. At first, I didn’t fully know how to truly take care of myself so that I could actually use my gifts in ways that truly supported and sustained me, so I began a journey of learning what I needed. It began with awareness, then practicing a lot of different selfcare techniques including boundaries and how to say “no” and how to create firm yet loving boundaries for myself and with others. I learned how to better communicate my needs, manage my mind and emotions, listen more to my intuition, and affirm who I am. I went from it’s hard to be me to It’s incredible to be me, I have so many gifts and magical powers. And I’m learning everyday how to use them in the best ways that support my well being and the well being of others. I’ve learned a lot, and I’m here to help support you and make it easier for you to fully embrace yourself and thrive in this world. From a very young age, I noticed the gender inequalities in my own family and they deeply bothered me. I seemed to be more aware of sexism and oppression in general than my peers growing up, and would challenge them in my communities and the small town where I lived. I believe it was partly my gift as a Highly Sensitive Person that led me to be a feminist at a young age. I remember the first time someone called me a feminist. I was 17 years old, and I embraced the term immediately. YES! That’s exactly what I am! I didn’t fully know what feminism was at the time, but I knew that it stood for justice; I knew that it was in alignment with my beliefs and values. I knew it was not, in fact, a dirty word even though so much of society treated it as such. I was always a rebel standing up for things that were not part of the norm, which was my norm. It was just in me. I was always different, and felt deeply passionate about what I believed. So, calling myself a feminist even though it was the “f word” didn’t phase me. It was just another way that I didn’t “fit in”, and I was okay with that. Some of my clients strongly identify as a feminist while others softly identify as one, but what they all have in common are feminist beliefs and values for social liberation, and a passion to create change that’s in alignment with their strengths, beliefs and values. I love working with multi-passionate individuals who desire to create meaningful change in society and their communities. *In my work, I strive to acknowledge the intersections of oppression (like race, class, gender, sexuality, age, disability, etc.) as one form of oppression does not exist all on its own. All oppressions are interconnected, and there are different ways that we hold privilege and experience oppression. I was a runner for 20 years from eight years old to 28 yrs old. I've run a number of marathons, including ultras, and even won one once! I took first place for women at a 50k marathon in San Francisco, July 2012. I am also passionate about creating more opportunities for women and nonbinary folks to shine athletically. I am an American Ninja Warrior nerd and connoisseur and regularly attend its tapings/events to cheer on the athletes. I live nomadically. The first time I set out on my nomadic journey was one of the most vulnerable and transformative times of my life. I've stayed in airbnbs, with friends and family, and housesitted for a lot of friends and strangers in beautiful places. I love being nomadic and traveling, and don't plan on settling down anywhere anytime soon! Growing up, I didn't feel completely aligned with the gender that was placed upon me and felt the complexity of my being. On one hand, I was no gender at all and never felt aligned with being assigned one. On another hand, I was passionate about dismantling patriarchy and sexism and wanted to "reclaim women's power". And on the other other hand, I didn't want to be a woman or female. These multiple experiences led me to study gender and feminism and I took to queer feminist theory like my life depended on it. Because, it kind of did. You can read more about my gender story here. Queer feminist theory has given me a language to describe my beliefs and feelings about gender and feminism, and it's where a lot of my work is drawn. I grew up in a small, mountain town in Colorado. While it was a beautiful place to live, the mountains are not where I feel at home. My soul comes alive when I'm in the desert or at a hot beach. I lived in the San Francisco Bay Area for 8+ years before becoming nomadic. I am a Capricorn with a Libra Moon and Cancer Rising (I find astrology fascinating). I have an excellent memory (it's another one of my superpowers)! Chocolate is the food I live for! 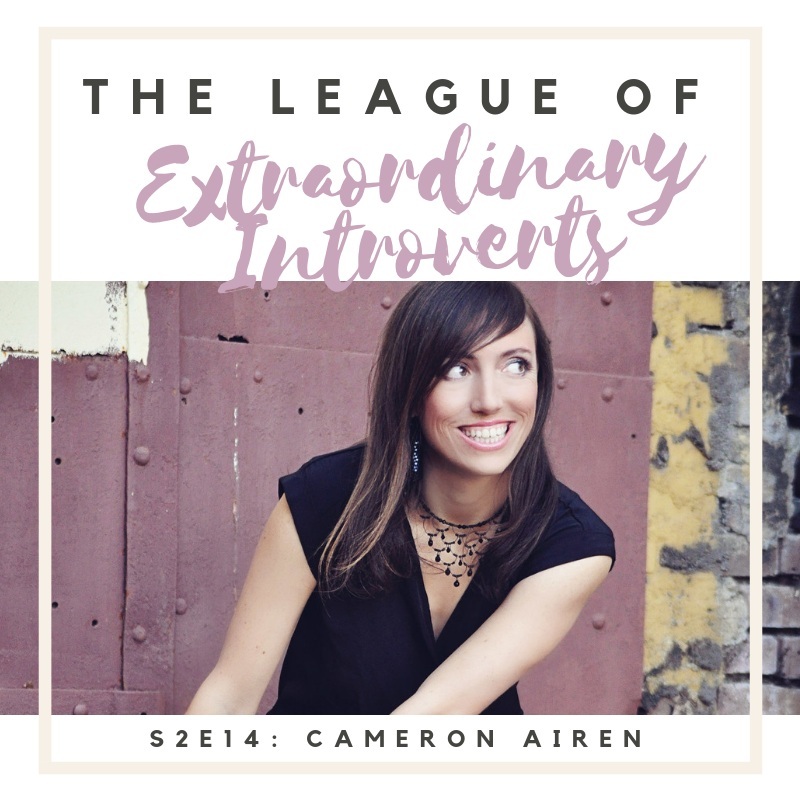 Cameron Airen is a Feminist Mindset Coach, Mentor & Gender Consultant who helps feminist introverts, empaths and highly sensitive folks feel more confident, at ease, thrive in their life and shine in the world. In addition, she works with solo-entrepreneurs, business owners, leaders and creatives to help them integrate next-level gender and social consciousness into their business and work so they can be a part of a growing movement of positive social change. Cameron has a Masters degree in Anthropology & Social Change from the California Institute of Integral Studies in San Francisco and a B.A. in Women & Gender Studies from Eckerd College in St. Petersburg, FL. She has 14+ years of experience studying feminism, gender, sexuality and social change. With a background in counseling, coaching, and fitness, they have over ten years of experience helping clients manage their minds and emotions, connect to and take care of their bodies, and create more powerful change in the world. Cameron was the creator and host of blog and podcast, Real Feminist Stories, where she interviewed over 70 diverse feminists doing amazing things in the world and having important social justice conversations. She was also the creator and host of the weekly Twitter chat #feministstory, and has facilitated feminist spaces and conversations online, and co-facilitated workshops and programs to help folx get free from patriarchy, gender norms, internalized oppression, integrate feminist and social justice values and beliefs into their business, and connect more to their joy. 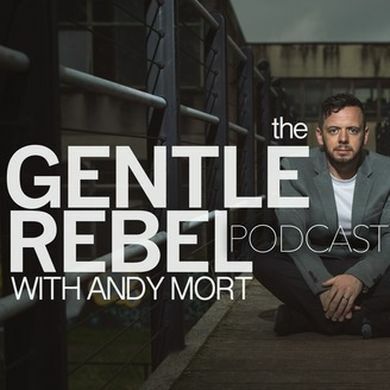 Her current podcast, Live A Conscious Life, mirrors her coaching and consulting practice helping folks experience greater freedom in their mind, heart, body and spirit and expanding their awareness of gender and feminism embodying the change they want in their everyday lives. Cam uses she/they pronouns, and is a digital nomad who works with clients from all over the globe.